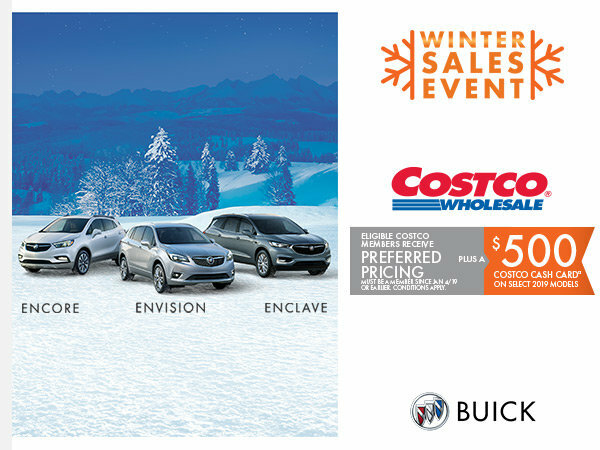 For a Limited Time, eligible Costco members receive Preferred Pricing PLUS a $500 Costco Cash Card on select 2019 Buick models. Register now and save on your 2019 Buick with this Exclusive Offer! *Must be a member since Jan. 4/19 to qualify. Conditions apply. See dealer for details.